Which translation company will offer you less expensive translation services for business, US or European companies? If you are also not clear about the US and European translation rates then here at ISO Translations, you will get the answer to your question. Europe is vast and due to its varied civilization, European translation services are always essential in all practical fields of life. After English, the most predominantly used languages in the European continent include French and German, followed by Spanish, Italian, Portuguese and Russian, although the Russian language comes within the border of European languages as well as Asian languages. European translation is less expensive than US translation because languages with vast numbers of speakers around the globe are some of the cheapest to translate. European languages all have plentiful speakers available, including an abundance of professional translators so translation is less expensive. In the area of scientific and technical study, the German language is in wide use and the demand for German scientific and technical translation mostly beats all other language translation needs in the same area. French language owes its rich bohemian culture that has seen the flourishing of a vast body of literature, poetry and music. Spanish language is the second most in demand after English. The reason behind this can be credited to the extensive use of the Spanish language not only within Europe, but also in several countries of Latin America and the Caribbean Islands. Oil and gas translation services are mostly centered on the Russian Language. The only way to know the skills and efficiency of a translator is to know how much experience he/she has in this field. If he/she is working for an agency then three years of experience is enough. But if he/she is working as a freelancer then he/she needs to have at least five years of experience. Make sure that European translator has European C1 level for a European language. The certification in any language shows the translator’s ability in the language except when he/she is a native speaker of the given language. If translation services for business is what you are looking for then you need to go with ISO Translations services online. 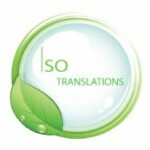 At ISO Translations, our expertise covers all the languages which are spoken in Europe. We translate in a variety of languages with a vast number of pairs to work upon. Our translators are qualified and preferably natives of the languages you want your translation to be translated in and translated from. They are highly skilled and 24/7 available to help you with certified translations. The combination of native translators and proofreaders is our ultimate formula for a successful project. 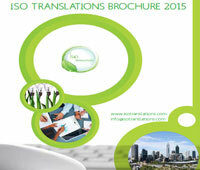 To help our clients more successfully, ISO Translations has three expert sections for language translation. With these three sections we focus on the East-European, West-European and the Scandinavian market. Contact us now for a free instant European Translation quote!